With only 1,535 points separating the top two riders heading into the 25thPBR: Unleash The Beast World Finals, slated to takeover T-Mobile Arena from Nov. 7-11, the five days of action where the world’s best riders are pitted against the rankest bulls is sure to be intense and action-packed. The field is led by No. 1 Kaique Pacheco who has been dominant this season, recording an elite tour best four event wins, in addition to 14 Top-5 and 17 Top-10 finishes. Hot on Pacheco’s heels is 2017 PBR Rookie of the Year Jose Vitor Leme. Since the final regular-season elite tour event of 2018 in Nampa, where the Brazilian young gun was third, Leme has closed the gap on Pacheco by 455 points. The tour’s Top 5 are rounded out by No. 3 Claudio Montanha Jr., No. 4 Luciano De Castro and No.5 Cody Teel. In the Rookie of the Year race, a mere 225.83 points separate the top four contenders heading into World Finals week. Standings leader Keyshawn Whitehorse will look to maintain his No. 1 ranking, while No.2 Colten Jesse, No. 3 Alex Marcilio and No.4 Nathan Burtenshaw prepare to battle it out on the dirt inside of the home of the Las Vegas Golden Knights. Joining these 35 men at World Finals are the five qualifiers from the Real Time Pain Relief Velocity Tour. Francisco Garcia Torres (Sal, Mexico) earned his spot as the top finishing international invite from the RVT Finals where he tied for twelfth. Paulo Lima (Bezerros, Brazil) and Michael Lane (Tazewell, Virginia) each secured a place as the Velocity Tour’s top two ranked riders not already within the Top 35 of the world standings. Luis Blanco (Iacanga, Brazil) clenched a berth after finishing third at the RVT Finals, while Juan Carlos Contreras’ (Huichapan, Mexico) fifth place effort also earned him an invite. The distinction of defending the best bull riders in the world at the 2018 Finals has been imparted upon three veterans Frank Newsom, Jesse Byrne and Cody Webster, and one rookie bullfighter, Lucas Teodoro. Teodoro will join the brave trio of men as the fourth bullfighter on the dirt as he fills in for legendary cowboy protector Shorty Gorham still sidelined with a dislocated foot sustained earlier in the second half. 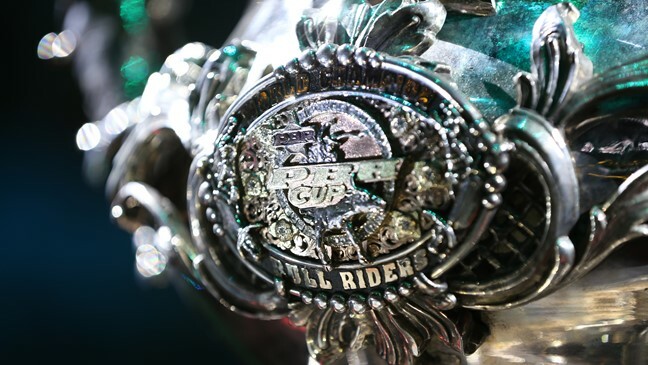 More than $2.5 million is at stake during the 2018 PBR World Finals including a $1 million bonus awarded to the World Champion, who also receives the coveted World Champion belt buckle. Each rider will ride one bull per night during Rounds 1-5 from Wednesday through Sunday. Scores from the five rides will then be combined, and the Top 15 riders will advance to the championship round following the completion of Round 5 on Sunday, Nov. 11. The rider with the highest total score from the six rounds will earn the 25th PBR: Unleash the Beast World Finals event title and $250,000. CBS Sports Network will broadcast every round of the 25th PBR Unleash The Beast World Finals live at 10 p.m. ET, Wednesday-Thursday, 11 p.m. Friday-Saturday and then at 4 p.m. on Sunday. B&W Hitches Inside the PBR World Finals presented by Yeti will air live from the Toshiba Plaza at T-Mobile Arena 30 minutes before the competition each night. For more information on the World Finals, please visit www.pbrfinalsweek.com.